As a third generation lawyer, John S. Tangusso is proud to continue a legacy of more than 100 years of legal excellence, started by his grandfather, Sebastian Tangusso, who began practicing law in Boston in 1913 and was joined by John’s father, Joseph, in 1952. John joined his father in 1983 and they practiced together for 21 years until his father’s retirement in 2004. Attorney Tangusso has practiced in every court in the Commonwealth of Massachusetts including the District Court, Superior Court, Probate Court, Land Court, Appellate Court, Massachusetts Supreme Court and U.S. District Court. Over the course of three plus decades he has litigated a wide variety cases, both civil and criminal, but has always maintained an emphasis on family law. 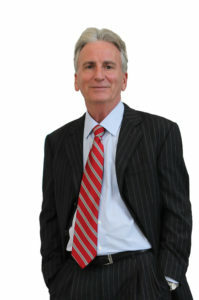 Therein, his cases have involved a broad spectrum of matters including prenuptial agreements, restraining orders, domestic assault and battery, divorce, child custody, visitation, child removal, paternity adjudication, child support, alimony, property division, post-divorce estate planning and the like. He is recognized for his pragmatic approach to legal advocacy, a philosophy that he credits to his father and grandfather. A veteran of the courtroom, Attorney Tangusso embraces the trial process, but discourages the war of attrition approach that is so frequently the practice in contentious divorces today. His belief is that the attorney’s advocacy should result in a preservation and not a dissipation of the client’s assets. He graduated from the University of Vermont and then attended the New England School of Law in Boston. He was admitted to practice law in the Commonwealth of Massachusetts in 1983.